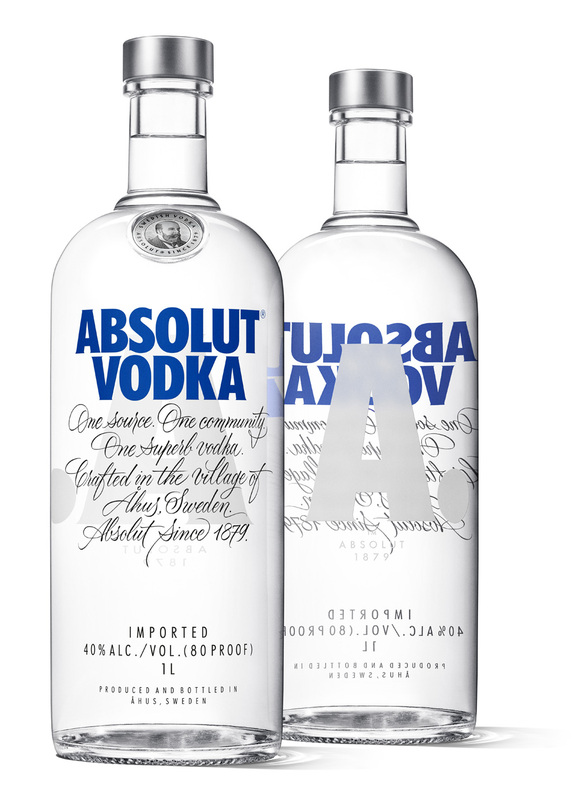 I assume most people know Absolut but, for the record, let’s cover some basics of the vodka spirit: First introduced in 1879 in Sweden and imported into the U.S. in 1979; packaging based on a medicine bottle goes supernova with the series of Absolut [blank] ads in the 1980s; becomes one of the top brands of spirits around the world; is owned by French group Pernod Ricard; and is the fourth largest international spirit brand in the world. (And, yes, I wrote this before in this post; reduce, reuse, recycle as they say). 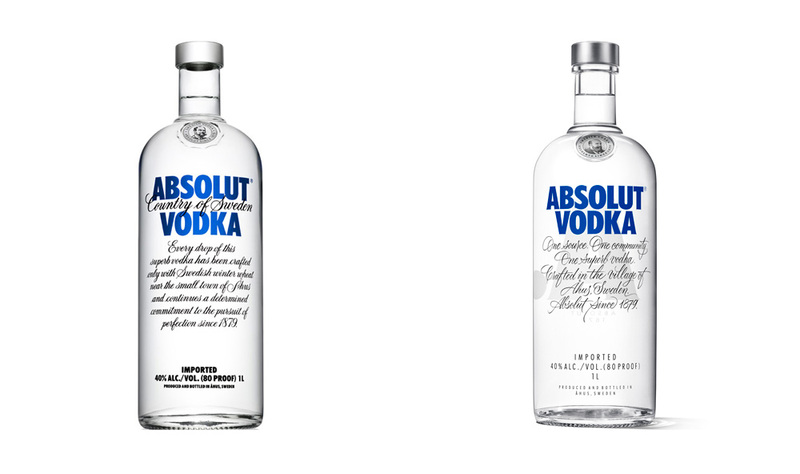 This week, Absolut has announced a redesign to its iconic bottle with the effort being helmed by The Brand Union. There are more images and videos at this media site. The iconic shape of the bottle has been strengthened to feature more clearly defined shoulders, straightened neck and body, and a flattened bottom, while also using a reduced glass weight to minimize environmental impact. The changes to the bottle shape are very subtle. If you stare hard enough at the image above you’ll eventually see them. The overall effect is a much more streamlined contour, slightly less bulbous but nothing that would make or break its recognition. At this point in its brand lifetime it would make no sense to alter the shape in any significant form. 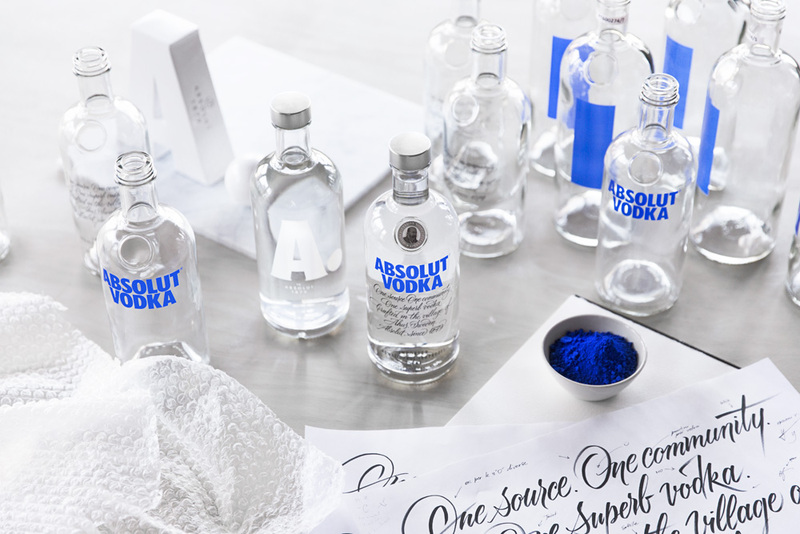 One of the most significant updates was to add a brand signifier to the back of the bottle, adding a bold, new short hand for the Absolut brand. The blue logo and script text on the bottle have become as iconic as the bottle itself and it’s almost hard to imagine an improvement to it, yet here it is. 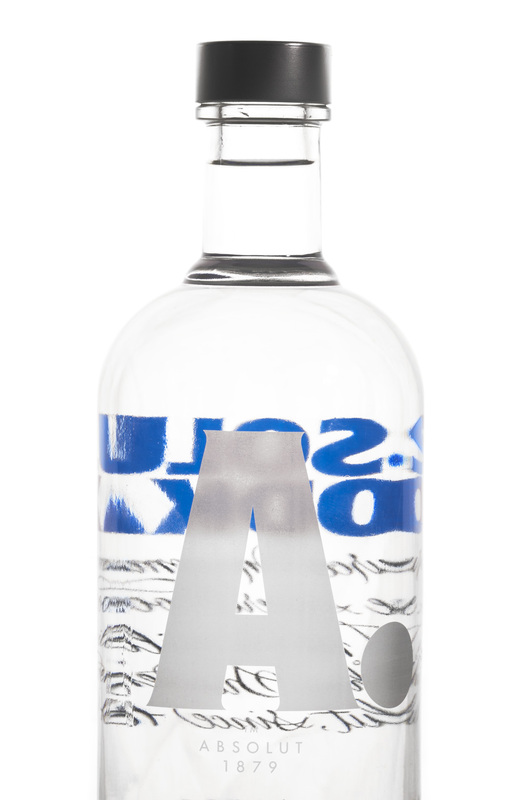 The new bottle features a modified “Absolut Vodka” logo that adds tiny flared serifs to the Futura-Condensed-esque version of forever. This is the one aspect of the redesign I don’t like at all but, at a distance, they are hardly recognizable and actually help define the shapes of the letters against the clear bottle. The new, reduced script is absolutely stunning and looks less like a wedding invitation; it makes the bottle feel more special and bespoke. The boldest addition is a frosted “A.” on the back… looks great from the back, doesn’t look that great from the front when it gets distorted but it does add some nice dimensionality to the bottle. 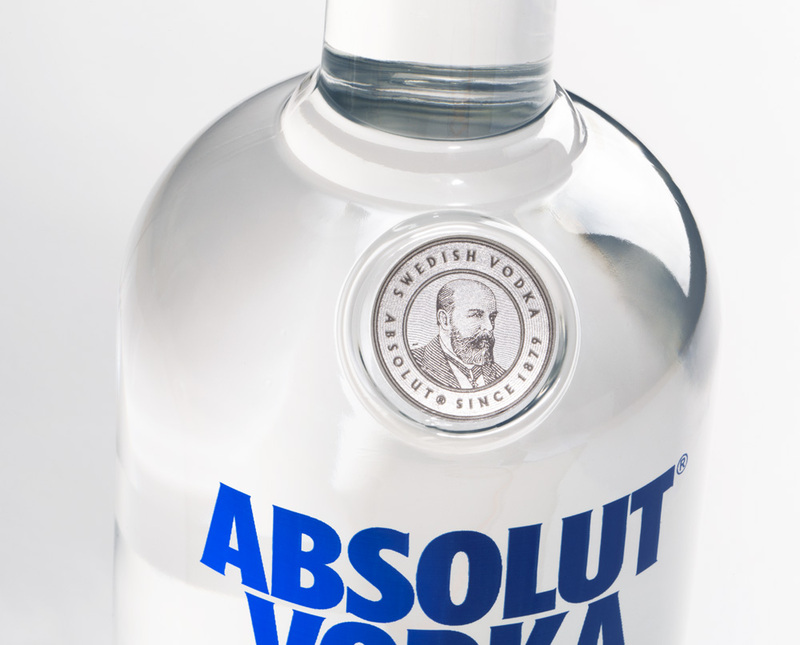 The new seal is quite handsome; I had never even noticed there was one on it (but in my defense, I think I’ve bought and owned one bottle of Absolut in my lifetime). Detail, script by Luca Barcellona. Detail, seal engraving by Martin Mörck. The overall effect of the redesign is a solid improvement that tweaks the brand’s winning visual formula with some elegant evolutions from top to bottom quite literally. 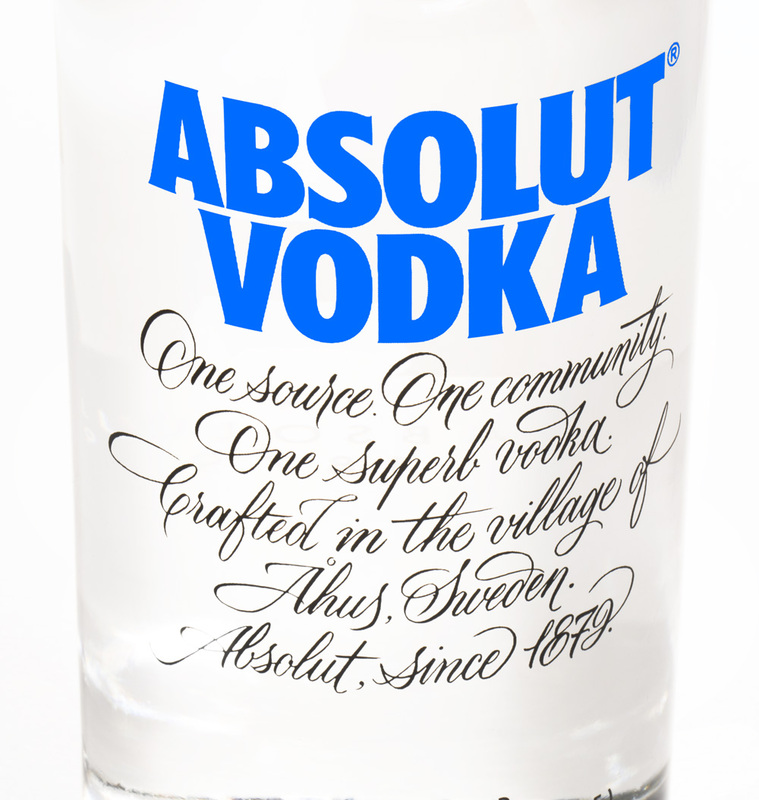 I assume most people know Absolut but, for the record, let's cover some basics of the vodka spirit: First introduced in 1879 in Sweden and imported into the U.S. in 1979; packaging based on a medicine bottle goes supernova with the series of Absolut [blank] ads in the 1980s; becomes one of the top brands of spirits around the world; is owned by French group Pernod Ricard; and is the fourth largest international spirit brand in the world. (And, yes, I wrote this before in this post; reduce, reuse, recycle as they say). 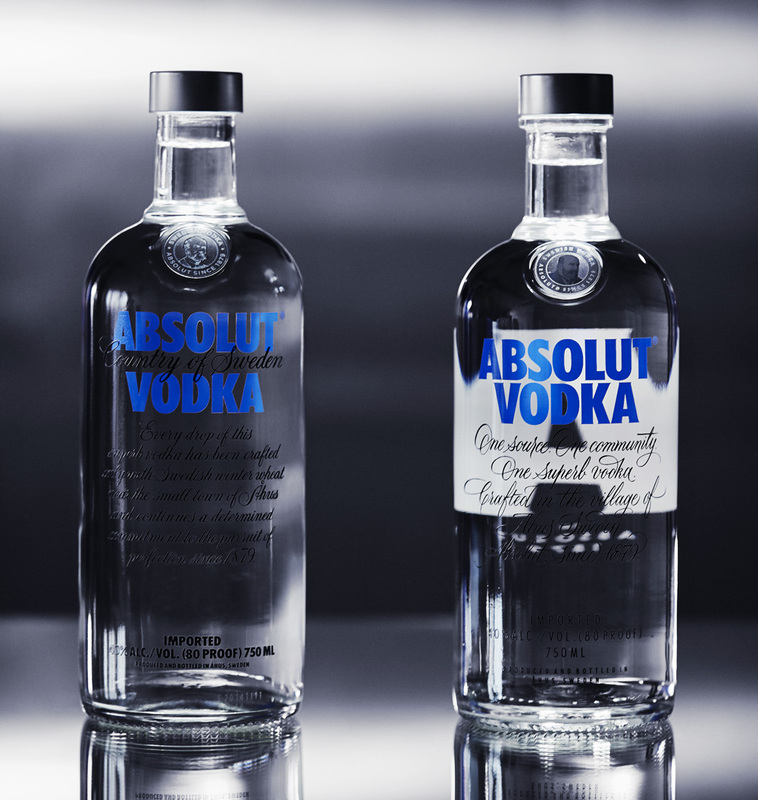 This week, Absolut has announced a redesign to its iconic bottle with the effort being helmed by The Brand Union.